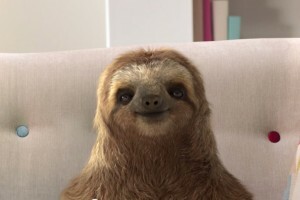 I’ve been animating Neal, the Sofaworks sloth. A cute little critter who sells sofas. He has a huge following on Facebook and Youtube. But he was very down to earth with me. He was rigged and rendered in Softimage xsi. Previous PostShow Reel of Dinosaur AnimationNext PostAnimating an Amazon pilot.